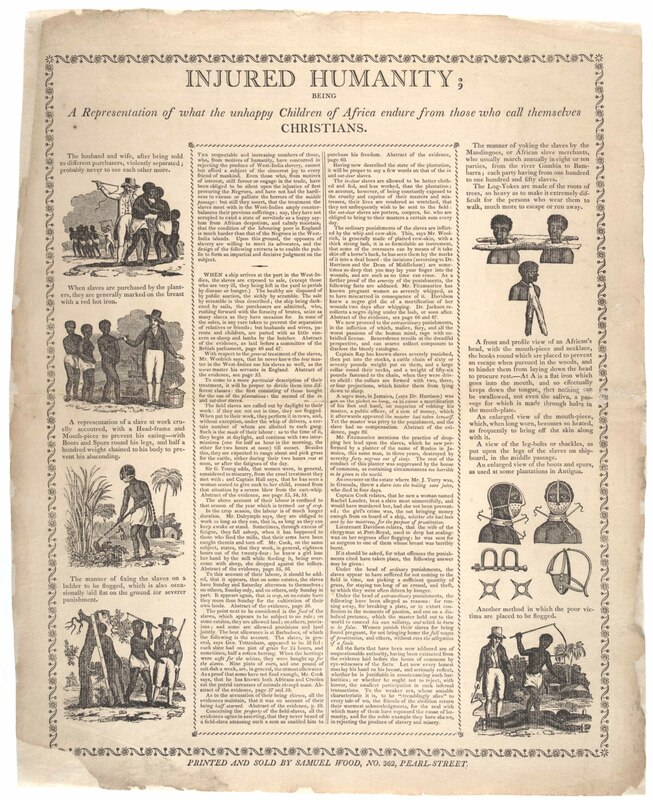 Injured Humanity; Being A Representation of What the Unhappy Children of Africa Endure from Those Who Call Themselves Christians, Published by Samuel Wood. New York, New York, 1805. Broadside, 1 page. INJURED HUMANITY ; BEING A Representation of what the unhappy Children of Africa endure from those who call themselves CHRISTIANS. 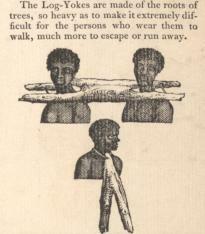 Caption reads: "The Log-Yokes are made of the roots of trees, so heavy as to make it extremely difficult for the persons who wear them to walk, much more to escape or run away. Caption reads: An enlarged view of the mouthpiece. Which, when long worn, becomes so heated, as frequently to bring off the skin along with it. 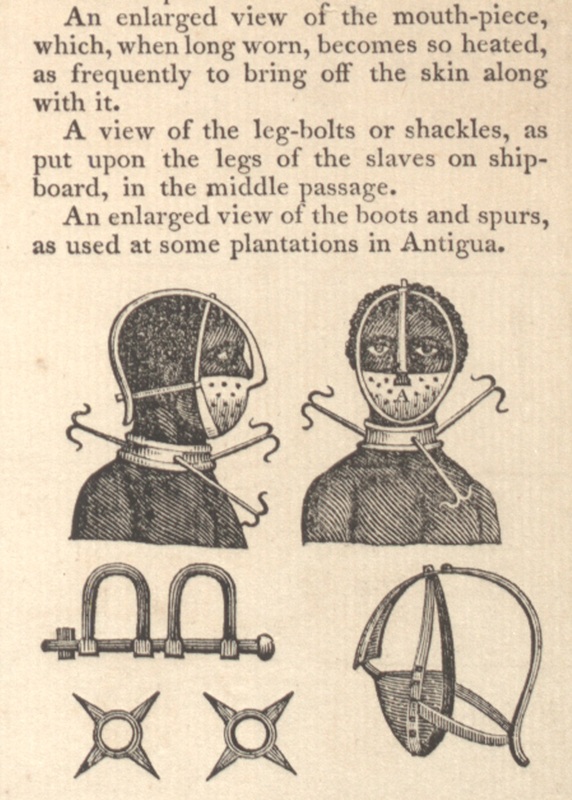 A view of the leg-bolts or shackles, as put upon the legs of the slaves on shipboard, in the middle passage. An enlarged view of he boots and spurs to be used at some of the plantations in Antigua. The husband and wife, after being sold to different purchasers, violently separated; probably never to see each other more. 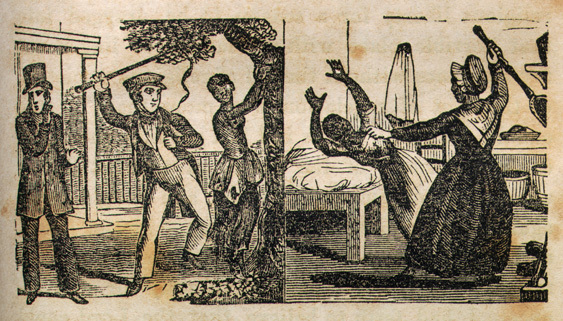 Abstract of the evidence, page 69., Mr. Fitzmaurice mentions the practice of dropping hot lead upon the slaves, which he saw performed by a planter of the name of Rushie in Jamaica, this same man, in three years, destroyed by severity of forty negroes out of sixty. The rest of the conduct of this planter was suppressed by the house of commons, as containing circumstances too horrible to be given to the world. An overseer on the estate where Mr. J. Turry was, in Granada, threw a slave into the boiling cane juice, who died in four days. 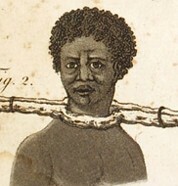 , Captain Cook relates, that he saw a women named, Rachel Lauder, beat a slave most ummercifully, and would have murdered her, had she not been prevented ; the girl’s crime was, the not bringing money enough from on board of a ship, whither she had been sent by her mistress, for the purpose of prostitution. Under the head of extraordinary punishments, the following have been alleged as reasons: for running away, for breaking a plate, or to extort confession in the moments of passion, and one on a diabolical pretence, which the master held out to the world to conceal his own villainy, and which he knew to be false. Follow our signals right now & make up to 270% daily.